As a student doing a dual degree, I did my four first years at Strate Collège with the promotion which ended in 2012. In our 3rd year, we all did an internship (most of us in France). 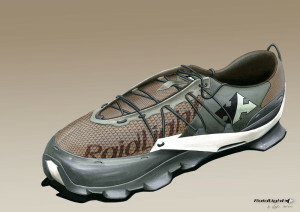 I did mine at RaidLight, working on the product design of sport equipments – mainly the Custom Shoes project and backpacks. Our fourth year is the opportunity to do a second internship or go in an other design school abroad. Due to my dual degree, I did a semester of business studies at Grenoble School of Management (as any classic student in second year). Then we had the opportunity to come back at Strate Collège for courses. While my friends began their last year, I finished and passed my exam of business. To complete my business formation, I did an internship Holtz Office support. Finally, I came back for my sixth year of studies, preparing my final project at Strate Collège. Here is more informations about my experiences featured in my timeline. I discovered HOLTZ OFFICE SUPPORT with COPIC, the famous japanese brand of markers (used by designers and artists), leader worldwide. Thanks to the contacts I built with the company while I did the COPIC Review for Acadesign, I had the opportunity to end my studies at Grenoble School of Business at their company, with an internship of 3 months in Wiesbaden, Germany. They are the official dealer in the EMEA area of COPIC and did an amazing work to develop the brand : when they began, more than 20 years ago, the market had a lot of competitors and everybody thought it was crazy to enter with a new product – moreover still unknown at this time. But in 18 months, COPIC was leader in Germany and a lot of competitors disappeared. Today, they have 92,5% of marketshare. HOLTZ OFFICE SUPPORT has got also two brands at his portfolio : magnetoplan and transotype. With magnetoplan, they provide the best quality of white boards and office products, with a lot of useful and easy tools to manage teams for instance. Even in an era of computers and softwares, their products are still truly enjoyed to plan everything in a lot of offices worldwide. transotype provides artistic furnitures and is today in a very important time of relaunch. With each brand, they offer high quality products. 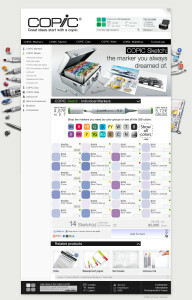 Develop a concept and the identity of COPIC’s new e-shop. Develop the Internet presence of the brands. Help in the relaunch of transotype. During those 3 months, the company let me more independence I could have dreamed of, letting me develop the full web-design of the new e-shop of COPIC. Knowing that HOLTZ OFFICE SUPPORT wasn’t selling products directly to customers but retailers only, I had to build a web-design easy to use and helping retailers to find quickly what they have to order. Of course, the website has a role of reference about the products and will help each user to understand why everyone of them is successful and the most enjoyed by the users. It’s why the products are shown in products worlds with a page explaining everything you have to know about the products, what are the accessories and with which products you can combine them to boost your creativity. One of the most important thing was to help people to find quickly the colors they need : with a lot of other websites, you will have only 12 or 20 colors per page – for instance. The issue is that COPIC Sketch is provided in 358 colors ! So, I designed two ways of order single markers : by color range or with the complete color chart. By color ranges, you can see all the informations about each reference and also add Various Ink bottles – which allow you to refill them but need to be better known. With the complete color chart, everything is done to provide a compact page and keep informations as simple as possible. Finally, the website has been thought to be the Holy Bible of COPIC users and allow to feature the works of the fans. Every user put a lot of feelings in his creations and tools. Consequently, they do not hesitate to share their love for COPIC on social networks and it is a challenge for them to get their work featured on the website. Decision was taken to open the website to B2B with the end-users living in Germany and Austria. Even if the prices are high to do not make shadow to retailers, the website received a great welcome and 2012 ended as the best year for COPIC and Holtz Office Support. Of course, in coordination with our developers, everything has been done to allow the marketing service to keep an hand on the interface and be able to promote products temporarily or offer them the spotlight they need – without any knowledge in development. The website is not based on any common structure and is thus perfectly pared to the stock management. 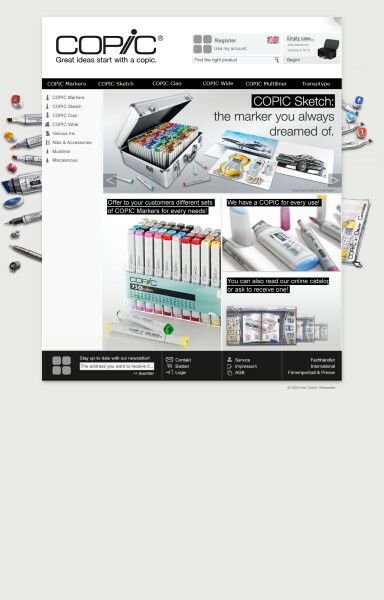 Feel free to take a look on the website of HOLTZ OFFICE SUPPORT or COPIC’s e-shop. RaidLight design, makes and sell sport equipment, specially designed for the practice of trail, which is basically outdoor running with long distances and elevations. Most of the races last more than 15 miles with at least one mile of elevation, but few races ask to run more than 60 miles and almost 10 of elevation. The company is leaded by Benoît Laval, who became the french vice-champion of trail in 2009. It is one of the many reasons which provide the to RaidLight its reputation. Moreover, all the employes practice this sport or at least trek and all the customers have the possibility to directly discuss with the company of the products or their needs. It’s also why RaidLight became quickly a real competitor face to famous brands such as Salomon, Adidas, Reebok , Asics etc. The innovation takes an important place in RaidLight’s processes to provide light, efficient and durable products. It’s what seduced me to do an internship of 4 months. My main mission was to develop the concept of the Custom Shoes, with another student from Strate Collège and the R-D team. Enter in this specific market isn’t easy and without any risk. It is why we developed the most innovating shoes for trailers. For the same price of the main competitors, RaidLight has been able to offer shoes at least 3 times more durable. 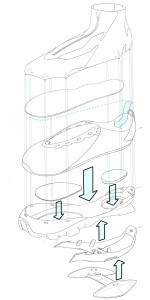 Moreover, the product is born with an eco-system allowing any owner to customize it and use it one any kind of grounds. 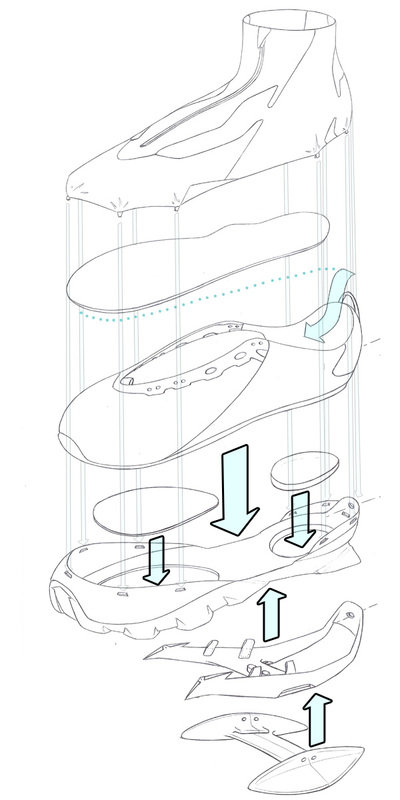 For instance, you can use galters for a race in sand and a tiny accessory develop the surface of the shoe. Without the size of real snowshoes, this tiny tool allow you to save a lot of your precious energy during any practice in sand or snow. During this internship, I had also the opportunity to develop specific backpacks for retailers (Intersport and Nature & Découvertes) and help on emergency situations. For instance, we had an important order of one of your main retailers for women pants but we didn’t have any piece left ! Consequently, within less than 48 hours, we were able to develop a new design, transforming the men version with serigraphs. As a matter of fact, this “Special Edition” even had a bigger success in stores than the classic version ! Feel free to take a look on RaidLight’s website.